Dog food allergies can be expressed by a variety of symptoms. Is your dog experiencing digestive problems, itchy skin, or a runny nose and eyes? Then read on! 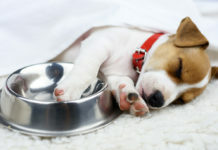 Many concerned owners suspect dog food allergies when their pups are feeling under the weather. How are they different from other types of allergies and food sensitivity or intolerance issues? Figuring out if your dog has a true food allergy can be confusing. Of course, you should always talk to your veterinarian about health concerns. 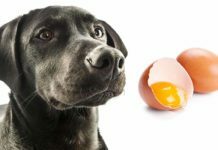 However, in this article we’ve gathered the latest information on dog food allergies to help you understand what they are and what can be done about them. Let’s look at this common health concern, starting with the basics. What exactly is an allergy anyway? Just like human allergies, pet allergies occur when an animal’s immune system overreacts to a substance (called an allergen) that it sees as harmful. The immune system creates antibodies to fight the allergen, and this response causes the symptoms of an allergic reaction. Allergies can be caused by many things commonly found in our environment. Besides food, your dog can also react to allergens like pollen, mold, insects and parasites, and even the dander of other pets in the house. Because allergies so often cause itchy skin, a dog’s constant scratching can lead to serious skin infections and hair loss. Allergies are a chronic health problem for many dogs. 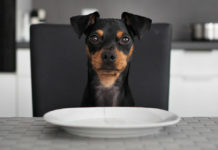 What do the experts know about dog food allergies in particular? Veterinary nutrition experts describe pet food allergies as the result of an animal’s immune system mistaking a protein in its food for an invader and then attacking it. Your dog is most likely not allergic to a specific brand of food, but rather an ingredient (or multiple ingredients) added to the food. 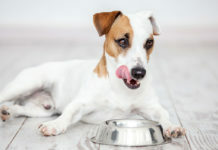 What are the most common dog food allergies? Certain ingredients seem more prone to trigger an allergic reaction in dogs and cats. These ingredients include chicken, beef, dairy, egg, and fish. While many people think that pets are allergic to grains or vegetables in their food, this is unlikely. Most food allergies are caused by animal proteins. Dogs with digestive problems can benefit from grain-free food but remember that protein is at the root of true dog food allergies. This is the reason why so many allergy free dog food brands or hypoallergenic dog foods use novel protein sources like duck, rabbit, or venison. Veterinarians report that true pet food allergies are not as common as people think. Many digestive problems are caused by a food sensitivity or intolerance, and skin problems can be caused by other types of allergies. As we’ve mentioned, there are many possible allergens in your dog’s environment besides food. These other allergens may also cause itchy skin, ear infections, and a runny nose and eyes. Did you know that your dog can be allergic to flea saliva? While flea bites are, of course, annoying to any dog, a pet with an allergy to flea saliva can suffer from extremely itchy skin. Pollen is another common environmental allergen for dogs. As with humans, dogs can experience seasonal allergies caused by pollen in the air. These can be hard to avoid since many dogs spend a lot of time outdoors. Your dog can be allergic to dust mites, mold spores, and even the dander of other pets in the house. A clean home environment is important for dogs that are sensitive to these environmental allergens. If your dog is experiencing only digestive symptoms like vomiting and diarrhea, but no skin symptoms, it is possible that you are dealing with a food sensitivity or intolerance, and not a true allergy. What kinds of ingredients cause food intolerance? One of the primary culprits is too much fat in the diet. This is especially likely if you feed your dog table scraps. Sometimes dogs can have adverse reactions to too much or too little fiber in the diet. This may cause symptoms like gas and stools that are either too runny or too hard. What about grains? 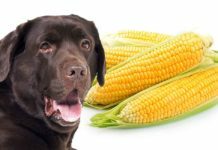 As we’ve seen, animal protein is the main cause of true dog food allergies, but grains like wheat can certainly cause digestive problems in some dogs. Each dog is an individual, so your dog can be sensitive to various kinds of dog food ingredients, even if he is not actually allergic. What are the signs of food allergies in dogs? According to veterinarians, dog food allergy symptoms are caused by inflammation. The inflammation can occur in the digestive system and/or the skin. Common digestive symptoms are vomiting and diarrhea. Common skin symptoms are red, itchy skin, and ear or skin infections. Dog food allergies are not as prevalent as allergies to things like mold and pollen, but it’s important to note that most, if not all, dogs with food allergies will also have environmental allergies as well. 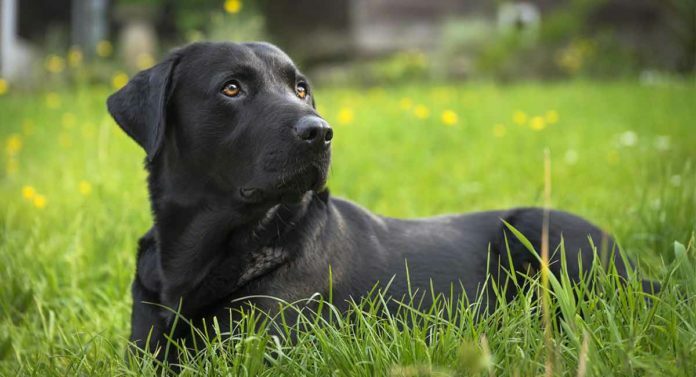 Your dog’s history of symptoms can be a good clue in determining if he has a food allergy. For example, a dog with skin problems that began in puppyhood, plus two or more bowel movements per day, may have a food allergy. Skin symptoms that are the same all year round can be more of an indicator of a food allergy than seasonal symptoms, which typically occur with environmental allergies. Once you suspect a food allergy, how will your veterinarian give a diagnosis? Let’s find out. Unfortunately, there is no quick and easy dog food allergy test that your vet can use to diagnose a food allergy. The only reliable way to test for food allergies is with an elimination diet trial. Elimination diets should only be done under the guidance of a veterinarian, to ensure that your dog is getting proper nutrition. The idea of an elimination diet is to feed your dog only food ingredients he has not had previously. All ingredients of any food or treat your dog eats should be completely new to him. A food elimination trial will last around 3 months. If all digestive and skin symptoms clear up, your dog likely has a food allergy. Your vet may confirm this by seeing if a return to the old food causes a relapse. To find out exactly what ingredient is causing the allergy, other ingredients will be added to the diet one by one. Once symptoms appear, the last ingredient added is the likely culprit. Once a true food allergy is confirmed by your veterinarian, you may wonder what to feed a dog with food allergies. The obvious answer? Avoid exposing your dog to the allergen. This is best done with a limited ingredient dog food that is clearly labeled so that you can verify that it does not contain the allergen. Since the most common food allergens are proteins like beef, chicken, and dairy, you don’t necessarily have to feed your dog a grain free diet. The best option is a limited ingredient protein diet. Your vet may recommend a prescription limited ingredient diet, rather than a brand found in pet supply stores. While it may be more expensive, a prescription food will have more safeguards in the manufacturing process to avoid ingredient cross contamination. Commercial manufacturers may be less stringent. 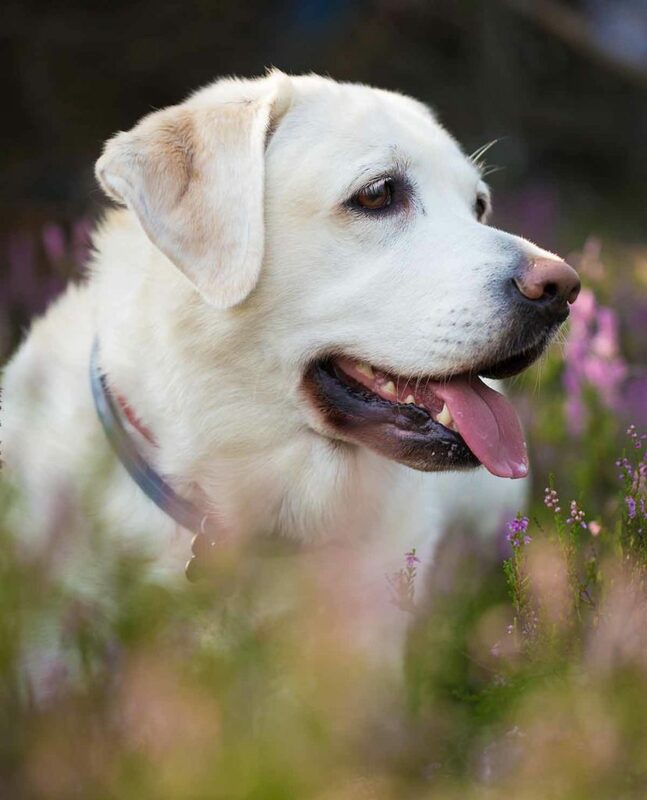 To guarantee that you are feeding your dog an allergy-free dog food, you can also prepare a homemade diet that contains no trace of the allergen. Before switching from a commercial diet to a home-cooked diet, be sure to talk to your vet and read up on canine nutrition, so you can ensure that your dog is eating a complete and balanced diet. 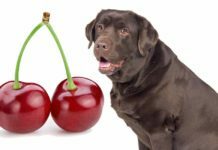 Is there another dog food allergy treatment besides diet? Since dogs with dog food allergies almost always have at least one other environmental allergy as well, eliminating the food allergen may not cure all your dog’s skin problems. A diet for dogs with skin allergies may be helpful, as long as it doesn’t contain the specific food allergen that your dog is allergic to. Other than diet, there are other types of treatments to ease your dog’s allergy-related discomfort. Flea prevention products are important to use for dogs with flea bite allergies. You can also talk to your vet about other methods of treating allergy-related skin disease, which is called allergic (or atopic) dermatitis. These include the use of medicated shampoos, antihistamines, antibiotics and antifungals (for secondary skin infections), corticosteroids, and dietary supplements containing essential fatty acids. If your dog’s allergy symptoms are severe and conventional treatments aren’t doing the job, you can also talk to your vet about immunotherapy. Immunotherapy is another name for allergy shots, an established treatment also used in humans. Your dog will be given small doses of the allergen. These are gradually increased over time, until your dog develops a tolerance. Some dogs respond very well to immunotherapy, especially young dogs. This is a long-term treatment option lasting a year or longer, usually managed by a specialist in veterinary dermatology. While not an option for everyone, it is certainly something to consider if your dog is suffering from severe allergies. Caring for a pet with a chronic health condition like dog food allergies can be challenging for owners. It requires knowledge, patience, and a good relationship with your veterinarian. Here are a few common-sense tips on caring for your best friend. Pets with allergy-related skin problems can benefit from the right kind of bath. Talk to your vet about choosing a medicated soap designed for skin conditions. Some owners also like to use natural products like apple cider vinegar or green tea. In between baths, a soothing soak or rinse with plain cool water can also help. Wiping your dog’s feet after a trip outside can also be beneficial. Keeping your house as clean as possible is especially important if your dog suffers from environmental allergies as well as food allergies. Wash pet bedding regularly, and dust and vacuum often. Some experts recommend removing your dog from the room during cleaning. Consider removing carpeting from your house and replacing it with wood or tile flooring. You can also buy an air purifier for the home. Be sure to regularly clean and/or change air filters in your furnace, vacuum, and the like. Closing the windows and using an air conditioner during peak environmental allergy season may also be helpful. Does your best friend have dog food allergies? What diets and treatments have you found to be most beneficial for your dog? Please share your experiences in the comments! What Every Pet Owner Should Know About Food Allergies. Clinical Nutrition Service, Cummings Veterinary Medical Center at Tufts University. Eisenschenk, M. Food Allergies and Food Trials for Dogs and Cats. Pet Dermatology Clinic. Moriello, K.A., Dryden, M.W., Foil, C.S., et al. Allergies in Dogs. Merck Veterinary Manual. Your Dog’s Nutritional Needs: A Science-Based Guide for Pet Owners. National Academy of Sciences, 2006. Canine Allergic Dermatitis: Causes and Treatment Options. Animal Medical Center of Southern California. Beers, H. Allergy Shots May Bring Relief to Itchy Dogs. University of Illinois at Urbana-Champaign College of Veterinary Medicine, 2017. 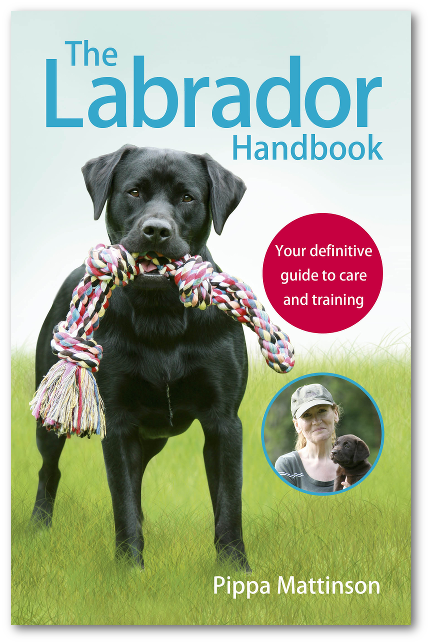 Next articleDog Shock Collar Training: Is It Worth It?